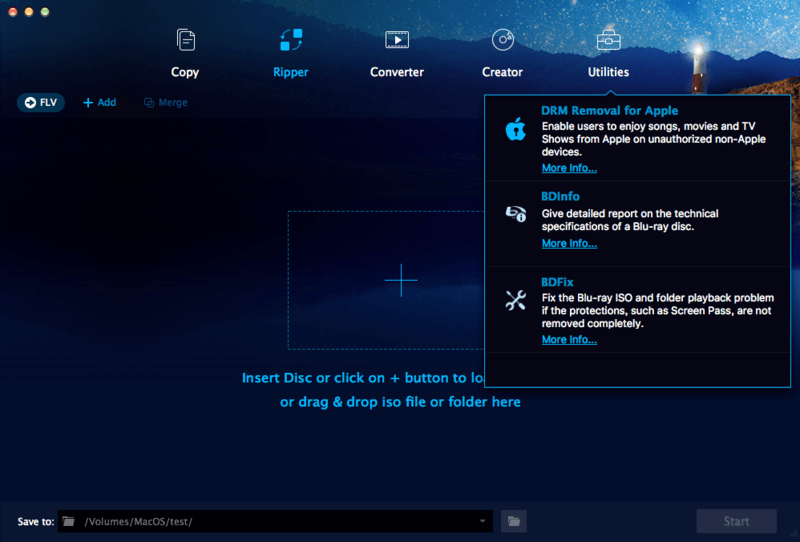 DVDFab Mac DRM Removal for Apple is the complete solution to bypass Apple's Fairplay DRM protections from music, movies, TV Shows and even rentals, presenting users high quality DRM-free M4A audios and MP4 videos. With the DVDFab Mac DRM Removal for Apple, users can completely get rid of the DRM encryptions embedded in the M4V videos, movies and TV Shows, which is to say, the converted MP4 files can play back without any problem on any computers or non-Apple portable and mobile devices, such as Android phones and tablets. DVDFab Mac DRM Removal for Apple actually removes the DRM encryptions completely and permanently. Moreover, the resulting videos are premium in quality (lossless conversion will be available later), even the ID tags are also preserved. Don’t ever worry about the efficiency of this Mac DRM removal software, as processing speed is always an advantage of DVDFab. It converts your videos, movies and TV Shows at an amazingly fast speed. Plus the capability of batch conversion, you can even process a whole season of TV Shows at one time. When the conversion process finishes, this DVDFab Mac DRM Removal software offers an option to automatically add the created DRM-free MP4 videos as the sources of the Converter/Creator modules, so that users can convert those videos to other popular formats ready for various playback devices, or to make a DVD or Blu-ray disc ready for a home DVD/Blu-ray player.